Dscounted due to very slight colour change. 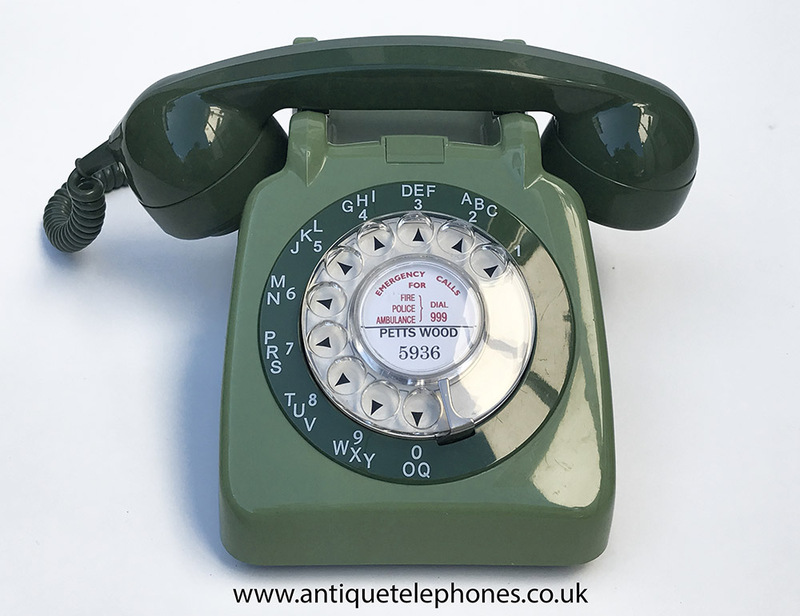 This has a lovely clear dial and chevrons with an outside alpha numeric outside dial ring. 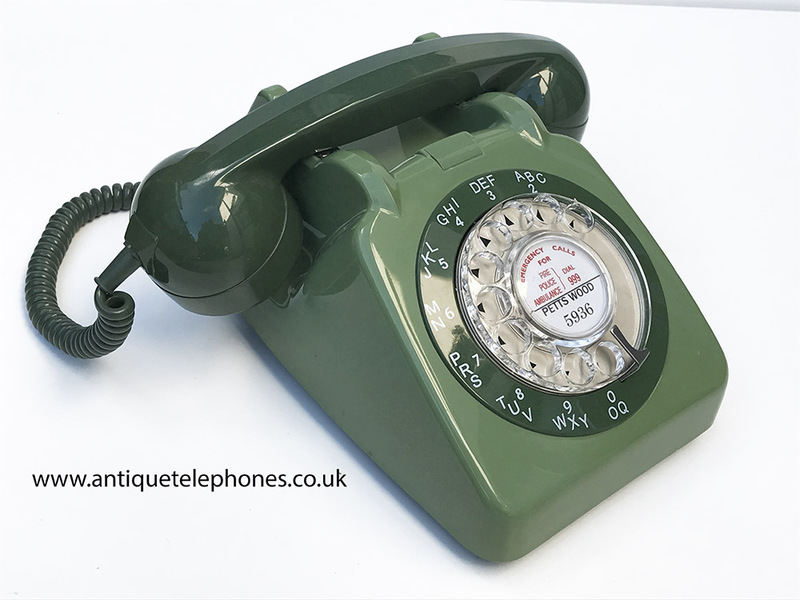 A beautiful example of a two tone green GPO 706. This has been totally stripped down and re built after each part has been cleaned and polished. 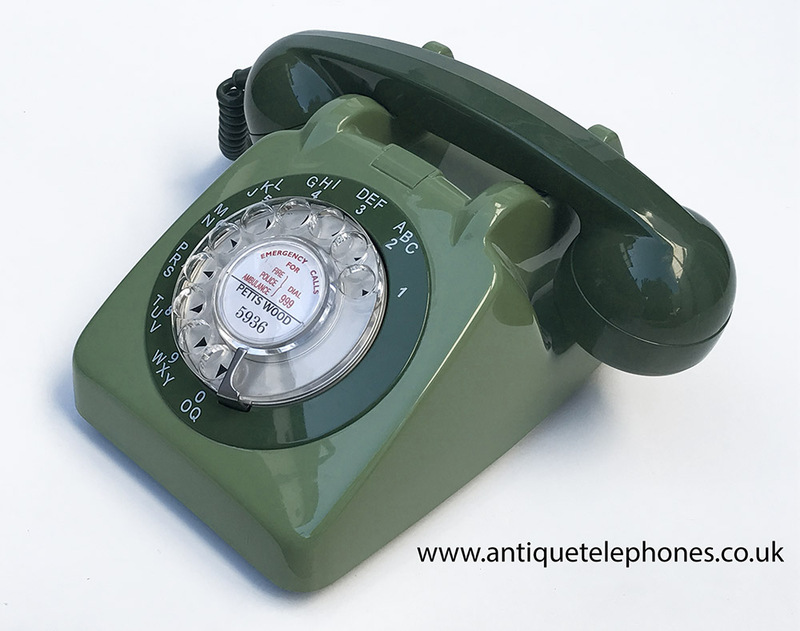 This telephone has been fully converted and is fitted with an electronic microphone and a very good quality grey line in cord with a UK telephone plug socket. As you can see this is fine example. I can fit a dial label with your information at no extra charge. This telephone is ready to simply plug in and go. Very slight colour change and so discounted. As you can see a very nice example.